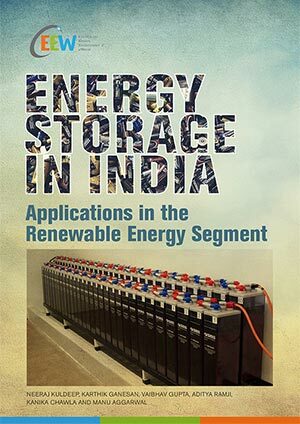 This report provides an overview of the Indian energy storage market for off-grid solar, examines multiple storage technologies under development, and assesses opportunities arising due to the rapid adoption of off-grid renewable energy. 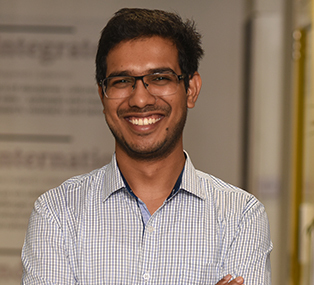 It also highlights key challenges for battery manufacturers such as high technology costs, and uncertainty around performance in Indian climatic conditions. The Indian Energy Storage Alliance (IESA), in 2013, estimated that by 2020, the market potential in India for energy storage systems in renewable energy applications alone would be in the vicinity of 6000 MW. The potential for energy storage has been revised to about 15 – 20 GW by 2020 after the renewable energy target of 175 GW of renewable energy capacity by 2022 was set. Furthermore, India’s commitment to the UNFCCC in October 2015 projects 40 per cent of the electricity capacity in 2030 to be non-fossil. The role of energy storage, in an energy mix that includes significant contributions from solar and wind power, cannot be emphasised enough. Energy storage technologies provide flexibility in the use of electricity, for both centralised and decentralised supply provisions. Conventional use of storage systems by way of batteries (in electronic goods, vehicles) and accumulators (inverters and other electricity backup solutions) have been driven by commercial and technological considerations (and requirements), with little policy directive to incentivise the use of these novel solutions. Rooftop solar will account for 80 per cent of the total energy storage market for off-grid renewables and will be worth INR 130 billion (USD 2 billion) in 2022. The Ministry of New and Renewable Energy (MNRE) has a target to install 10,000 micro-grid/500 MW of micro and mini-grids, which will offer an additional opportunity to the tune of INR 33 billion (USD 0.51 billion) for battery manufacturers. Markets that are served poorly by the existing grid are good options for storage systems to cater to. The energy storage market for off-grid renewable energy in India would be worth INR 165 billion by 2022, with petrol pumps and rural ATMs alone offering a market opportunity of around INR 5 billion. Advanced battery technologies could support rapid deployment of rooftop solar installations in the commercial and industrial segment, which is currently hindered by the high cost of energy storage solutions. Solar PV systems with energy storage options could be a potential replacement for existing diesel generators. These would also save about INR 4-5 per unit of electricity, compared to diesel, for industrial and commercial consumers. Micro and mini-grid developers, being reliant on batteries to store and supply electricity to rural households during evening and night hours, could be targeted as early adopters of advanced battery technologies. The energy storage market for off-grid renewables in India will be worth INR 130 billion (USD 2 billion) in 2022.